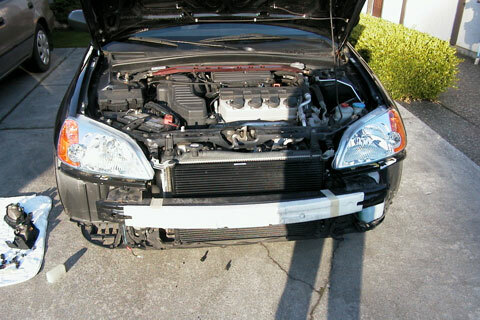 Purpose: Gain access to items behind bumper, prep to remove headlights, horn, etc. 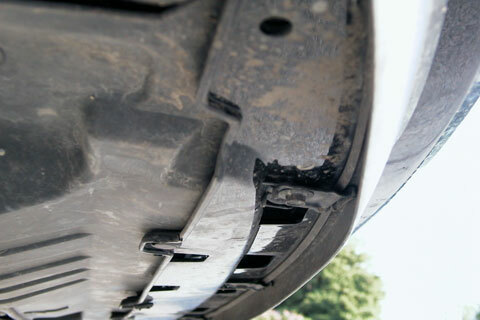 First you’ll want to unscrew with either the phillips head screwdriver or using the 10mm socket this screw on the sides of the bumper in the wheel well. Next you’ll want to get down under your car, there will be 6 of these little black plugs that hold the bottom of the bumper to your car. You’ll need a flat head screwdriver or other prying device to pull the middle peg out to release the clips. 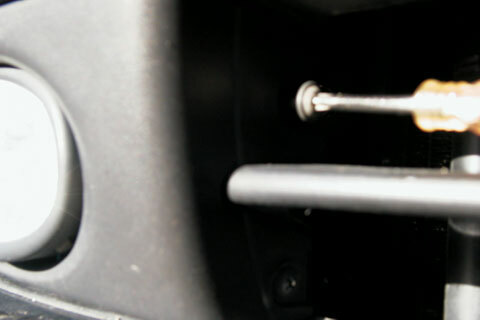 There’s also two screws on either end holding the bottom of the bumper as well, you’ll need the phillips head screwdriver here. Afterwards pop open your hood and along the top of the bumper you’ll see more of those plastic clips that require you pull out the middle plug in order to remove. Once this is all done simply grap hold of the bumper on either end under the wheel well and pull out. It will take a bit of force for it to come undone. 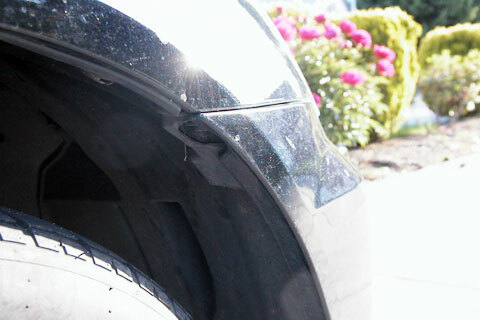 You’re currently reading “Remove The Front Bumper,” an entry on Ghosty’s 2K1 Honda Civic Coupe.